Libratone TRACK Plus review | What Hi-Fi? There’s arguably a greater demand on sports headphones than on any other type. A fitness fanatic doesn’t want to be tangled in wires or have to repeatedly reposition buds during their run. They don’t want to be weighed down, nor do they want to be reaching for their phone to change tracks. They also need their headphones to be resilient, particularly against drops of sweat or rain showers. So to be in with a chance of succeeding in this market, sporty in-ears have to be discreet, secure, lightweight, comfortable, easy to control and waterproof to some degree. On top of that, they still have to deliver sound quality that makes all of those extra features worthwhile. With the sonic success and practicalities of its wireless speakers in mind, Libratone would be near the top of our list of brands capable of producing good buds for fitness fanatics. These TRACK+ headphones just reinforce our view. Libratone has figuratively put themselves in a runner’s shoes, for the TRACK+ meet the demands of the music-loving sport enthusiast in more ways than one. For starters, they offer eight hours of wireless playback from a single charge – stamina fit for most sporting sessions and even the most arduous round-trip commute. They also have four levels of noise cancellation. Libratone calls its latest noise-cancellation technology CityMix II (also featured on Libratone’s Q Adapt In-Ear model) - it's intended to block out the vehicle noise and office chatter that spoils quieter parts of music. The four modes can be selected on the headphones themselves, or via the Libratone app. Here you can also activate CityMix Smart, a mode that automatically adjusts the noise-cancelling intensity according to your motion or surroundings. It’s also handy for setting up and managing simultaneous music playback on other Libratone Bluetooth products, selecting EQ modes, performing software updates and viewing battery status. The ‘splashproof’ and ‘weather-resistant’ TRACK+ are also lightweight, despite looking fairly cumbersome with their oval-shaped buds and matchstick-length panels. One of these panels accommodates the function button – long press to power on/off, short press to scroll through the four noise-cancelling modes, double press to activate the ambient monitoring (which cuts out noise-cancelling and music playback). The other houses a three-button remote with raised rubber icons that are easy to locate. Here you’ll find the volume buttons, plus a central one for playing and pausing songs or answering calls, skipping tracks or activating your phone’s voice assistant. 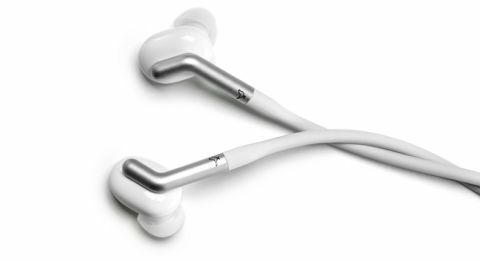 Even during vigorous movement, the earbuds remain rooted in your ear. The plastic over-shaped mould fits firmly, and the tips stay securely in the ear canal. In the box there's a choice of differently sized tips, including a pair with more discreet in-ear hooks. These Libratones don’t allow you quite the same awareness of your surroundings as some rivals - but the noise-cancelling is pretty effective, reducing noisy environments to mere stirrings. On full whack, the sound of your own footsteps and cars driving past are almost inaudible – though that may not be ideal for street running. We kick-off our testing with Teleman’s Superglue, and find the track plays into the Libratones’ hands. With their warm, full-bodied balance, they lap up the infectious pop song’s marching beat, jaunty guitar line and vocals. The Libratones manage to be bold and audacious without being in your face. Using the Sennheiser Momentum Frees – one of our favourite pairs of wireless in-ears – as a comparison, we find the Libratones don’t represent the last word in transparency. The Sennheisers serve up a crisper, leaner balance, attacking the synth funk with more confidence and precision - and making the Libratones seem a little stodgy in comparison. We switch to God is an Astronaut’s All is Violent, All is Bright, and while the Sennheisers have the dynamic edge to capture the build with a bit more precision, the Libratones are hardly caught short. When the unrelenting instrumental reaches a climax of electric lines and pummelling drums, they aren’t afraid to throw their weight around without skewing the balance. They want songs to be heard, to demand your attention, even if that sacrifices a little subtlety. Nonetheless, they still have the grace and delicacy not to overplay the power of Jonsi & Alex’s Happiness. The interplay between drifting strings and ethereal synthesizer sounds reasonably emotive, with more than a hint of dynamic activity evident in the wash of instruments.